The archetypal image of a spin-bowler in Test matches from yesteryear was generally one of a cricketer who was called in to perform a specialist role by the captain at certain points in a game. Nothing much more than his prescribed set of overs was expected of him. Any other aspects of the game that the player could contribute in were considered a bonus and nothing more. However, the recent phenomena of the rise in popularity of the shorter formats of the game has created a change in the role of players with each member of the team now expected to put in more than what his speciality might say on the team sheet. For the top teams of the world, having cricketers who can excel in multiple facets of the game is no longer just a luxury. The need for such players who can give any top side an advantage is more of a necessity in today's game. Whilst the higher quality sides in the world have generally been better at discovering such multidimensional cricketers, Pakistan, for reasons best known to themselves, have struggled to uncover such talent for the Test format. This was the case until the Pakistan Cricket Board (PCB) decided to organise its own brand of the lucrative Twenty20 tournament. In 2017, the name of Shadab Khan was heard for the first time around the world when he performed outstandingly well for his side Islamabad United in the Pakistan Super League (PSL), taking nine wickets in eight matches. The unanimous verdict on Shadab’s talent was one of fascination, appreciation and a bright future was forecast for the young leg-spinner. With the manner in which he performed in the away series against the West Indies in 2017, it soon became clear to followers of the game that a very special talent was making its way to stardom through international cricket. From his PSL exploits, Shadab could have just been another one of the many T20 specialists on the circuit, but it now appeared that no format of the game was a challenge for a cricketer whose infectious optimism on the field was a thing of joy for his captain. His back-to-back 'Man of the Match' awards against the West Indies in his first two international games in 2017 was a fair indication of better things to come and the youngster’s record in the Champions Trophy later in the year was only a confirmation of his enormous talent. The young leg-spinner played an important role in Pakistan’s unexpected triumph in the ICC’s 50-over mega event in the summer of 2017. Not only did his bowling inspire his side but his fantastic fielding efforts were like a breath of fresh air for a Pakistan side where having energy and a willingness to succeed were considered radical concepts. Many who remember the final of the Champions Trophy will recall the amazing presence of mind of an 18-year-old playing in front of a packed Oval, where he not only took an excellent catch to dismiss the brilliant Virat Kohli but later convinced his captain to take a successful lbw decision review against the destructive Yuvraj Singh. An admirable record in the shorter formats of the game was something which was almost expected from young Shadab, who seemed to have maturity much beyond his years. It seemed that anything he touched would turn to gold and all that remained was for him to enhance his abilities in the format considered to be the ultimate test of technique and character for all cricketers. For a few years, Pakistan’s spin bowling department in Tests had relied on the very dependable Yasir Shah. For Shadab, to find a place in the Pakistan Test squad, Yasir’s form had to take an unexpected dip or he had to become unavailable for selection which, given the supreme abilities of the Test leg-spinner, seemed unlikely. As it transpired, the Pakistan think-tank felt that Shadab would be a good stable-mate for the much more experienced Yasir and he was included in the team for the second Test match against the West Indies in 2017 and so began a new chapter in the fast-developing career of the leg-spinner. Whilst the introduction to the long format was not as rewarding as his exploits in the Twenty20 and ODI arena, the intensity and energy that he possessed was visible to all and it appeared just a matter of time before he could become a regular member of the team. The injury to Yasir for the 2018 Test tour of Ireland and England was exactly the break that Shadab needed to make a name for himself in the longer format of the game. His bowling performances in the warm-up games leading up to the historic Test against Ireland was one thing, but what caught the attention of many was his fantastic ability to bat as he has shown by hitting fifties in three consecutive Test matches on the current tour. 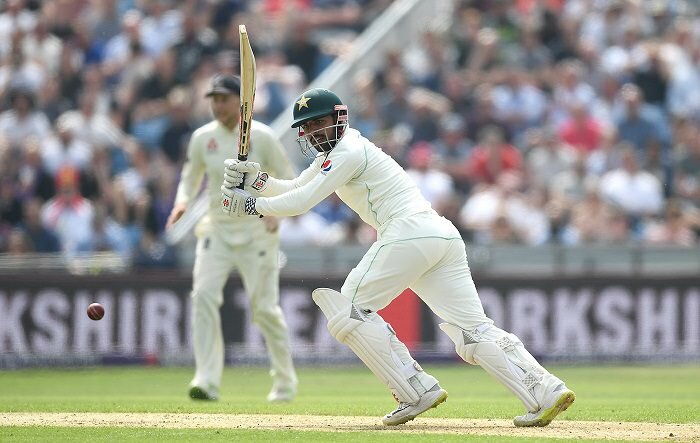 Suddenly, Pakistan had a player who could stand his ground in batting against some top-class bowling and help his side’s batting order in a cool, calm and unfazed manner to pull them out of some embarrassing situations. To Shadab, the talented leg-spinner and fielder, Pakistan could add the label of a more than able and dependable batsman too. Shadab’s favourite player Steve Smith also started off his career as a leg-spinner and there is a temptation to draw parallels between the careers of both players. But Shadab is having none of that, as he feels that his real use for the team at the moment is as a bowler. To that end, the young leg-spinner has a long way to go before he can start to challenge Yasir for a position in the Pakistan Test team as the primary leg-spin option — all of which could easily change if Shadab’s progress in Test cricket continues unabated at the current rate. While all around him rave about his skills, his potential and his brilliant introduction to international cricket, Shadab in his own likeable style, just shrugs his shoulders, smiles shyly and takes all the hype in his stride.